I have been wanting to try these for a few months now and I never seem to get around to it so what's a girl to do? Well I have decided I will play along but my cards will be a week behind what's on the blog. I think thats fair,instead of trying to rush through to get a new one done that monday afternoon. the link to the Mojo Monday blog is here. This is the sketch from Feb. 2nd. And here is my creation. I have been looking forward to St. Patrick's day apparently. LOL. 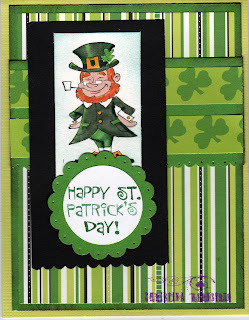 I have left out the embellishment on the side becaue you can only use so many shamrocks on one card. Yes this is the same leprechaun on my scrap layout, but he's cute. 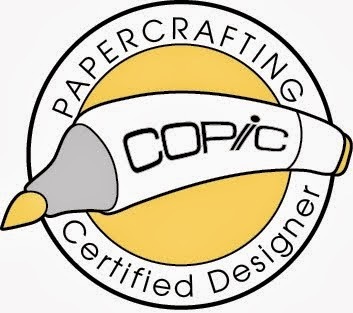 same papers too but I love em. So tell me do you feel lucky? I love your St Pats Card. I think it is great to do challenges no matter the time frame, sketches work so well to have mojo! I like the ST. Patty's card, I am over Valentine's already! Well, I'm considering myself lucky for being able to view such a fabulous card! TFS! 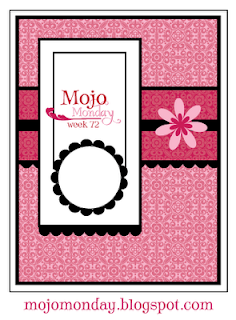 Love the Mojo Monday site, lots of fun and inspiration going on over there! How did you manage to get everyone to sleep till 10AM??? LUCKY DUCK! What video games did you play?? Fun St. Pat's day card! love all the green and fun leprachaun! thanks for stopping by my blog today - you have a beautiful family on your side bar there! thank your husband for me for keeping us safe and free ok!?!? OMG!!!! I LOVE IT!!!! Can I buy a set of those from you???? Seriously! 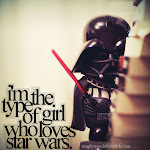 I love them that much!!!!!!!!!! I only really like the last one though. Great post. Love the St. Patricks day cards. That is my absolute favorite holiday. Well, I make it a holiday of greatness for us anyhow. Love the card. thanks for sharing. This is just an awesome card and I love the sketch. Maybe I should check them out soon, too! I love it!! !